Organisations or individuals that are seeking membership of Aotearoa New Zealand Association of Supervised Contact Services (ANZASCS) can apply under two categories. 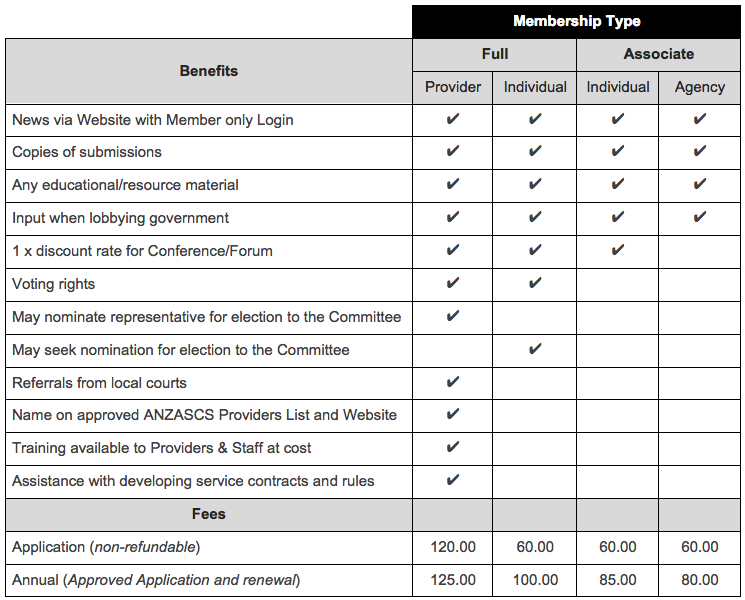 Becoming a member of ANZASCS entitles you to the following benefits depending on the membership type. National providers must pay one membership fee for each site in which contact services are delivered. Membership period is from the 1st July to the 30th June.